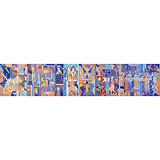 You searched for "K G Subramanyan"
and layered Of Tree And Trees, a 1978 work, went for Rs 32 lakh. 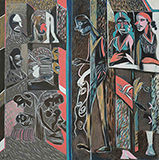 K G Subramanyan's Odd Encounters, a blue work fraught in tension, sold for Rs 19 lakh. done in their trademark style. Laxma Goud, Anjolie Ela Menon, Paresh Maity, Jayasri Burman, Sujata Bajaj, Maya Burman, K. G. Subramanyan, Satish ... and in the process forcing us to delve further into his magical and mysterious art. A multi-faceted artist and eminent professor of fine art, K. G.
Gulammohammed Sheikh, Nilima Sheikh, K. G. Subramanyan, and Vivan Sundaram The self-taught, Baroda-based artist passed away two years ago on August 8.